SPRING HILL, Fla. -- Dude, where's my taco? It might have been what a Tampa, Fla., man was wondering - after he was found asleep at a drive-thru window Wednesday afternoon. One problem - he was at a bank drive-thru - not Taco Bell. 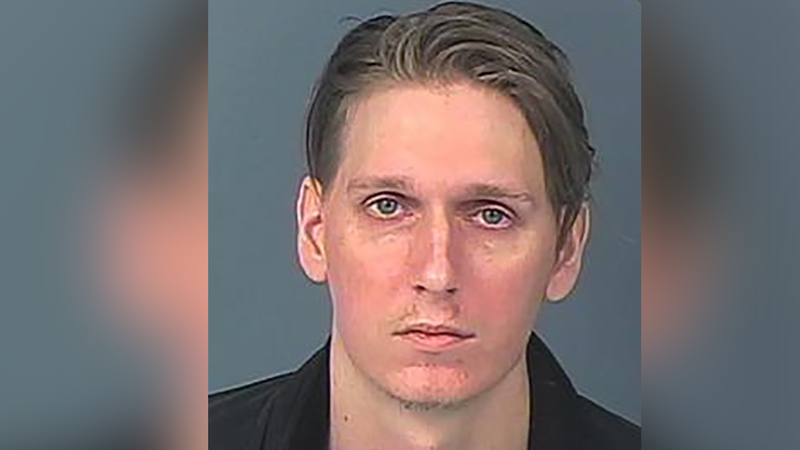 According to the Hernando County Sheriff's Office, the manager of a Bank of America branch called authorities after he found an unconscious man behind the wheel of a blue sedan in the bank's drive-thru lane. Once he awoke, the befuddled motorist asked the bank manager for a burrito. He drove away from the drive-thru once he was told he was not at Taco Bell. But he didn't go far. When deputies arrived at the bank, they found the blue car idling in the parking lot, the groggy driver still inside. The driver, 28-year Douglas Francisco, failed field sobriety tests and was arrested and charged with DUI. According to the arrest report, Francisco made several unusual statements. Deputies noted that he had delayed reactions to their questions as well as slowed movements consistent with someone under the influence of prescription narcotics. Deputies stated he had Oxycodone and Xanax on him, for which he had prescriptions. He was jailed on $1,000 bond. And never did get his burrito. Information from ABC affiliate WFTS from used in this report.